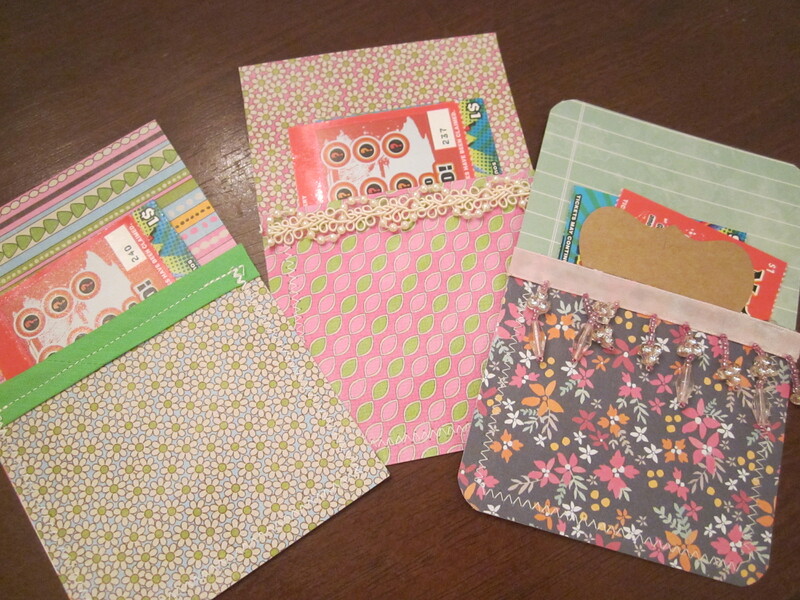 It’s holiday teacher gift season! 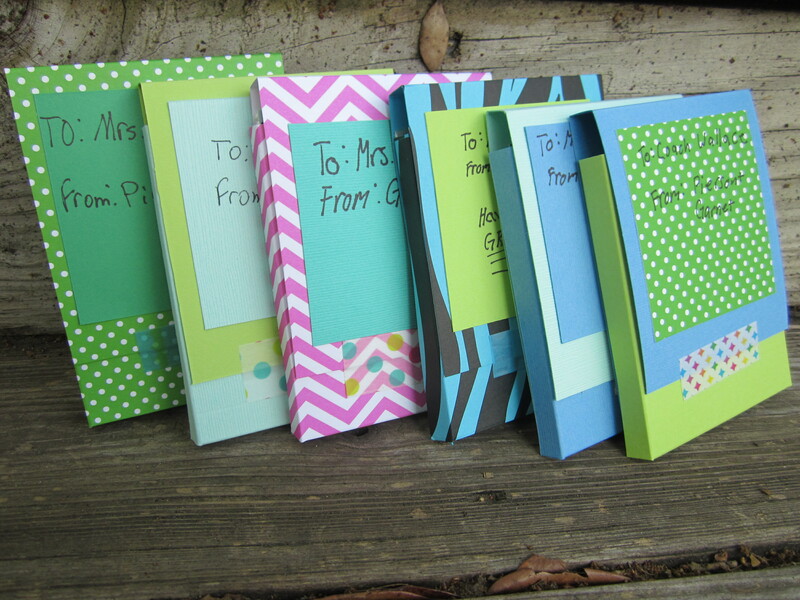 I love teacher gift ideas, and I try not to repeat too many ideas from year to year. If I were not a teacher and a parent, I would not take the teacher gift situation so seriously, but I know how much I appreciate getting a small thank you from a student or family at the holidays, so I try to do the same for my children’s teachers. At the holidays, I often receive lots of home baked sweet goodies (no complaints here). Because there might be lots of cookies and candies on the way, I thought I would go the savory route for this year’s teacher gifts. 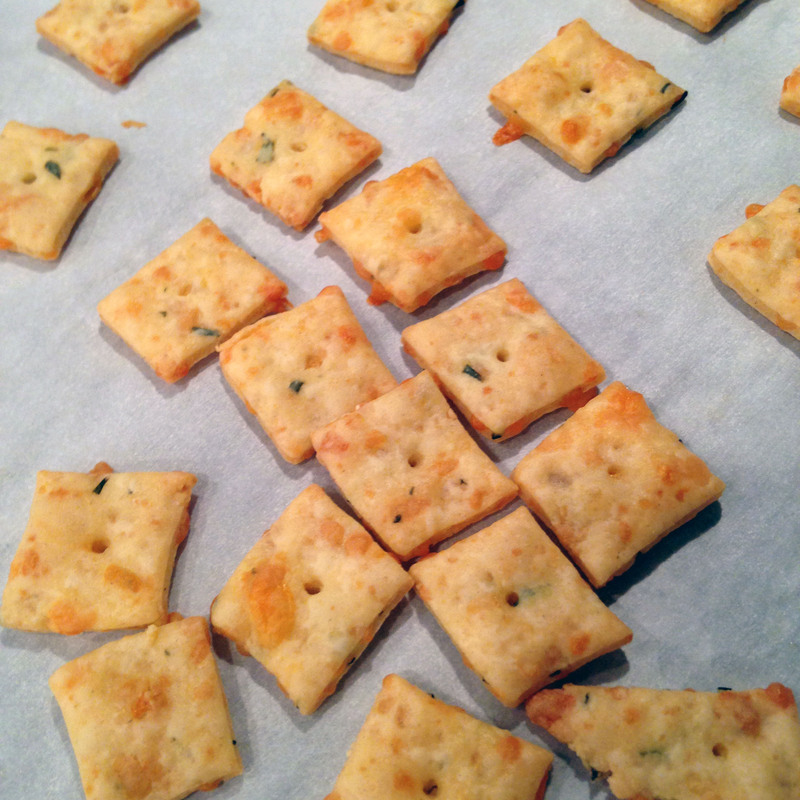 The crackers look like a Cheezit and have a similar taste but are slightly more gourmet due to the rosemary. I found THIS RECIPE via Pinterest. The recipe is easy to follow, but it is time consuming since you need to mix the dough, let it rest in the refrigerator, roll out the dough, cut, and bake. I put about 2/3 cup of crackers in each gift bag and ended up making three batches of dough to have enough crackers (twelve teachers). In order to make my cuts even for the cracker shape, I cut a strip of cardstock paper one inch wide and used that as a guideline for cutting. 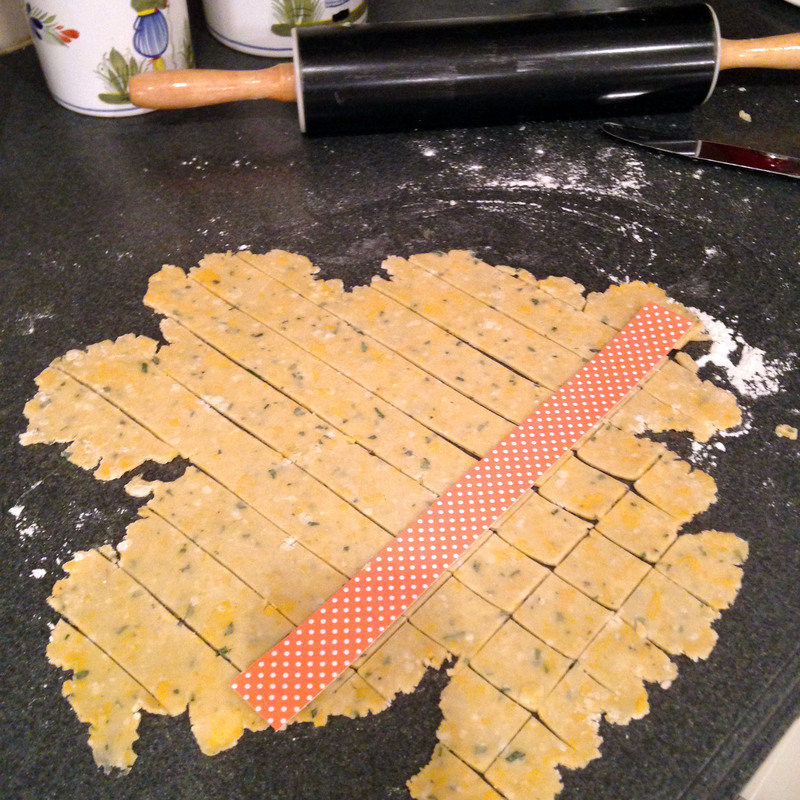 I had straggly edge pieces that were not perfect shapes, and those were the pieces we ate at my house! 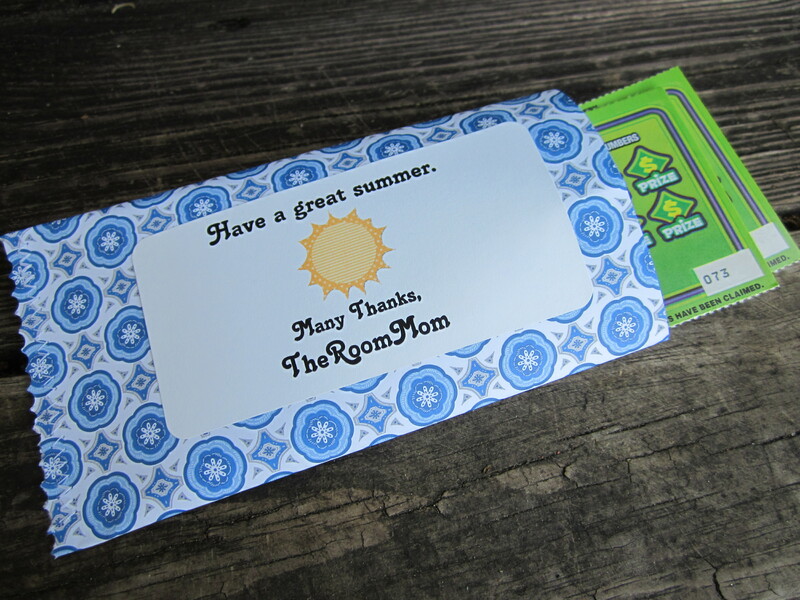 I printed labels on Avery 8163 shipping labels (2″ x 4″). 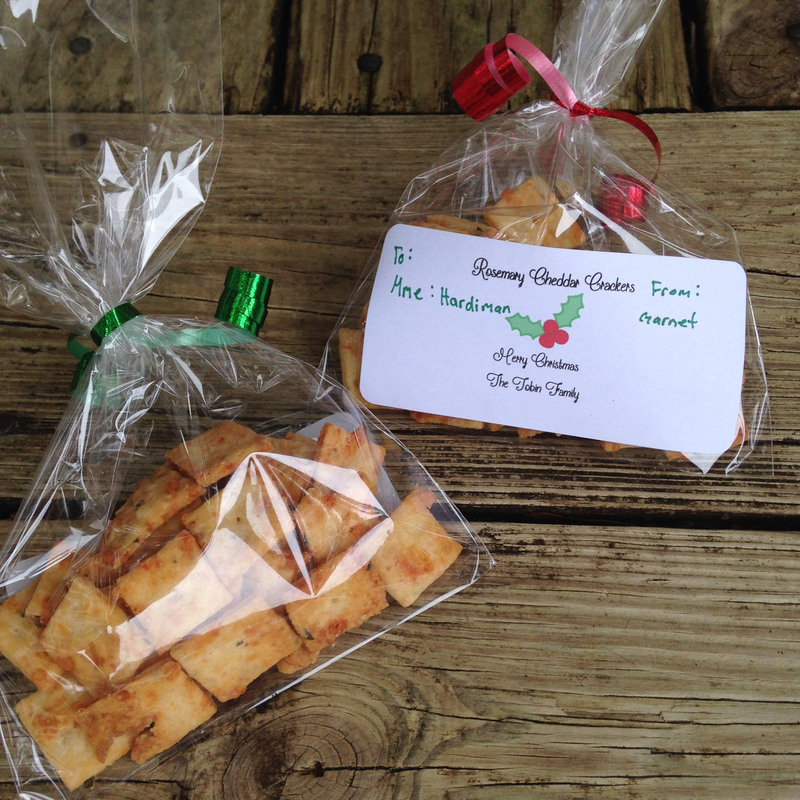 You could use this ROSEMARY CHEESE CRACKER LABEL template and print on regular paper, cut, and tie to the bags with curly ribbon. The crackers would also be pretty in pint Mason jars or small, decorative Chinese food container boxes. 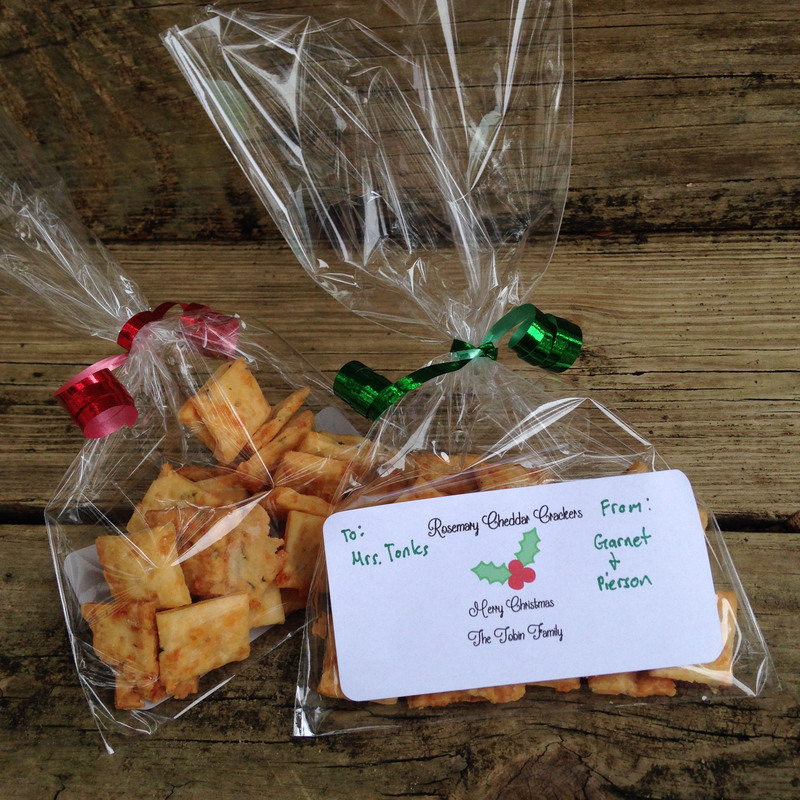 I am hoping the teachers receiving these little gift bags will enjoy this snacky treat. 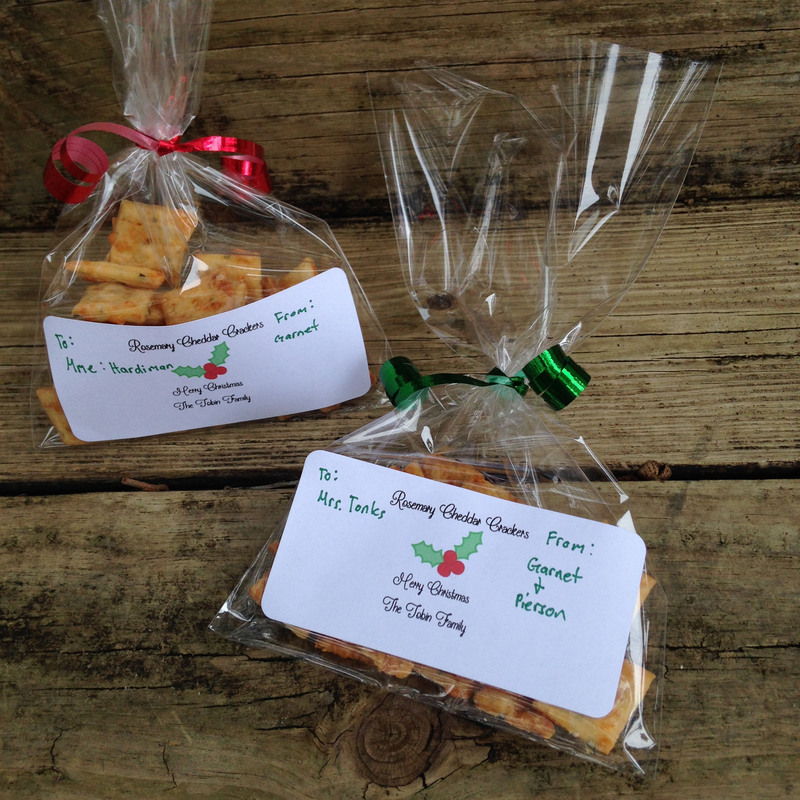 For our teachers who we know are dog owners, we are giving these DOG TREAT GIFT BAGS in place of the human treat. 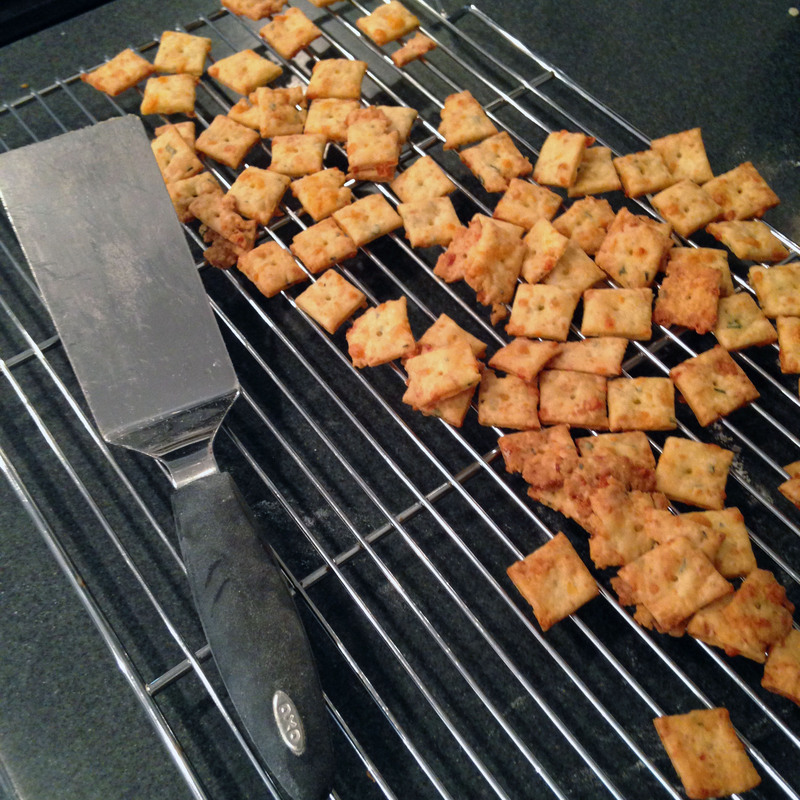 It saved me having to make even more batches of crackers! 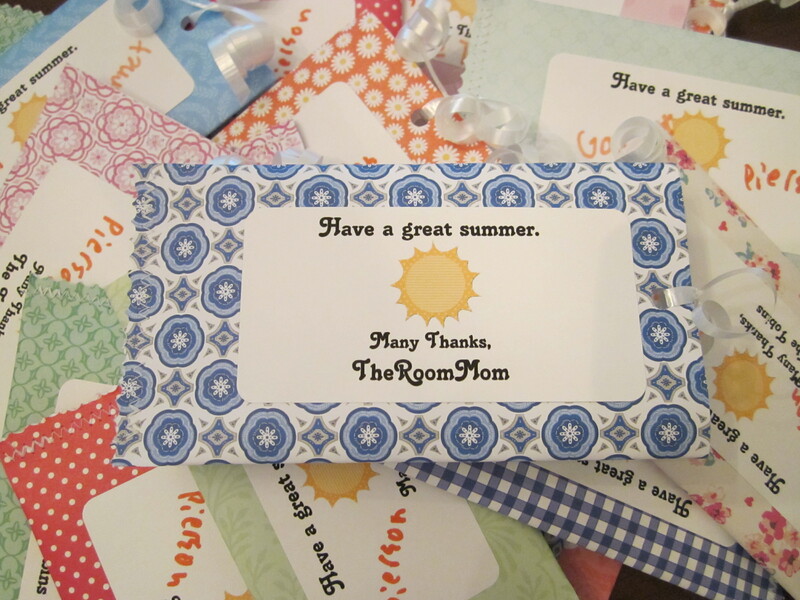 Because I work at the school my children attend, I am not allowed to volunteer to be the roommom, which would then give me control over any gifts the group might choose to give to the teacher. It is a conflict of interest. I actually think I would be the best person for the job since I have all kinds of insider information on what makes a good teacher gift *sigh*. So, to fill the void, I volunteered to collect the money for our end of season gift to our summer swim coaches. I helped out last year by donating the Swim Emergency Kit that held a cash gift and other items a coach might need in his/her swim bag. We are giving the coaches cash again, and I needed a vehicle to deliver the money because a plain ol’ envelope is not that much fun. 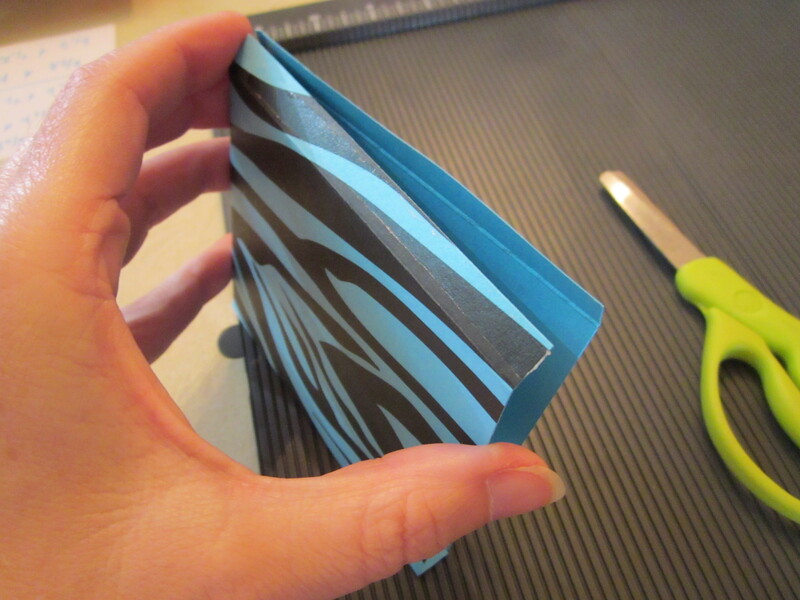 I found This Pattern for a business card holder. I thought it could easily be adapted to hold cash or gift cards, so I made a supply list and headed out to buy fabric in our team colors. 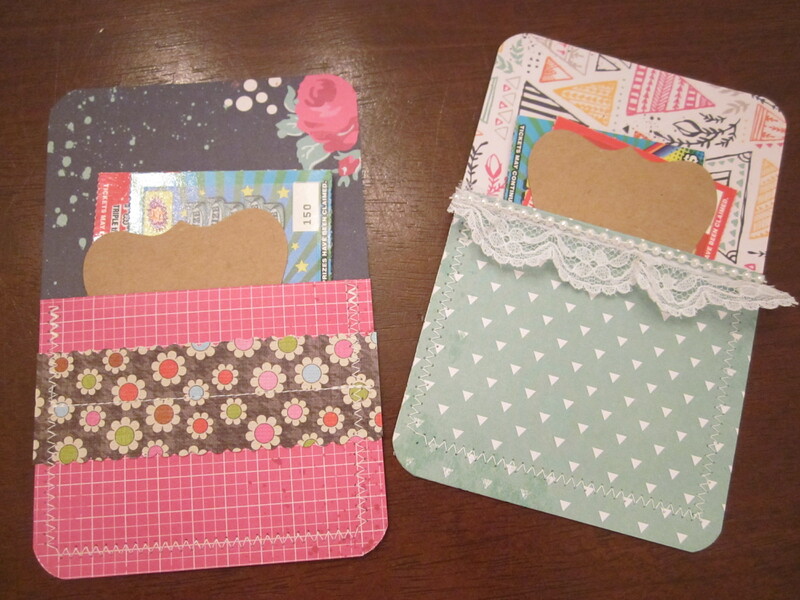 I made a whole fleet of little gift card holders. We have four coaches, and I also made extra for teacher gifts this year because I always give a gift card to my kids’ teachers at some point during the year. 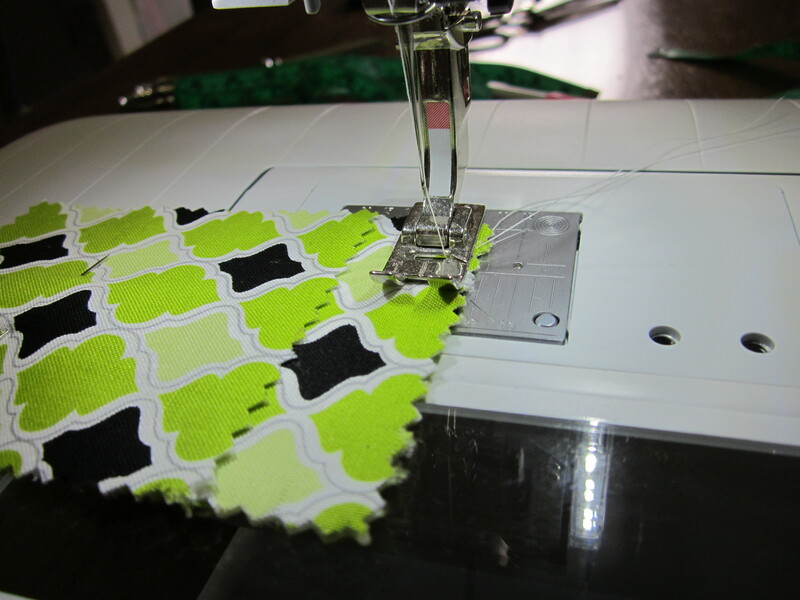 Apply each piece of fusible web to the wrong side of the piece of fabric that is the matching size. Iron the fusible web into place (follow the directions that come with the fusible web). 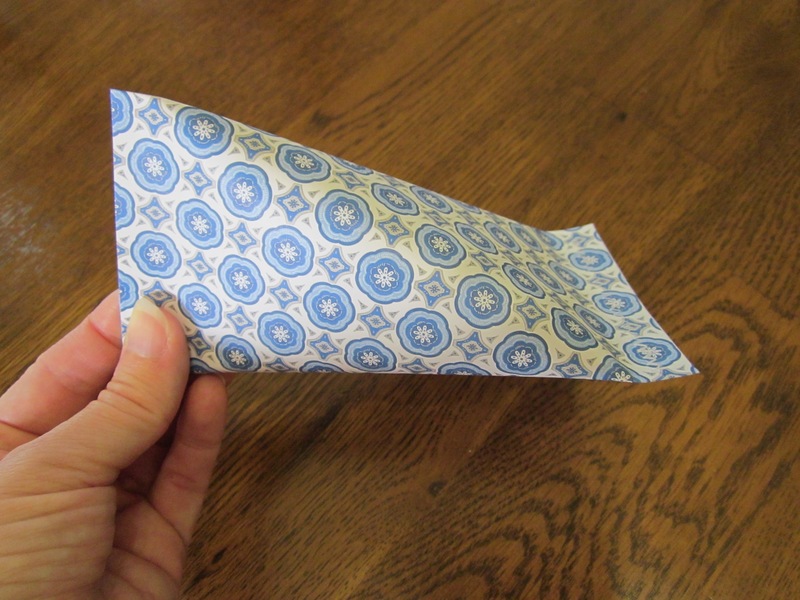 Fold the larger piece of fabric in half making it 4 1/2″ x 3″ and iron until the folded edge of the fabric is pressed well, and the two pieces lay flat together. 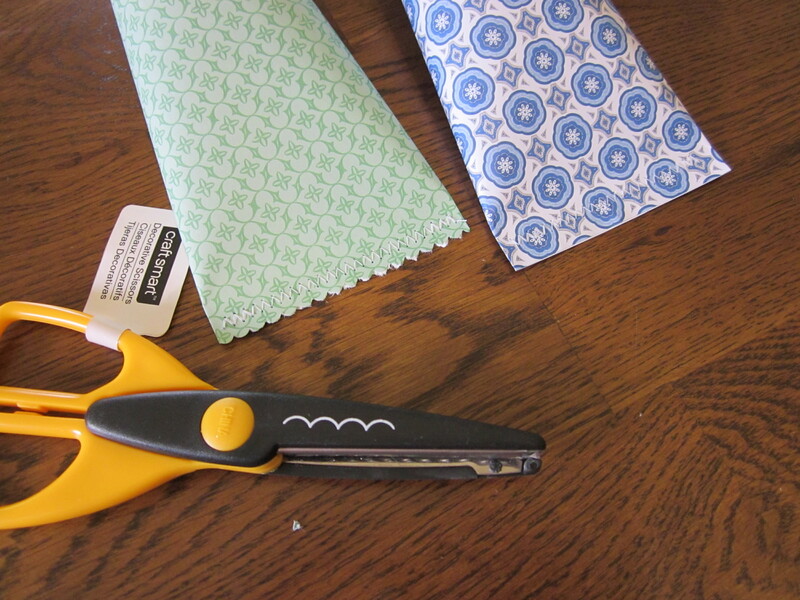 Cut around all 4 sides of the double layer of fabric with the pinking shears. 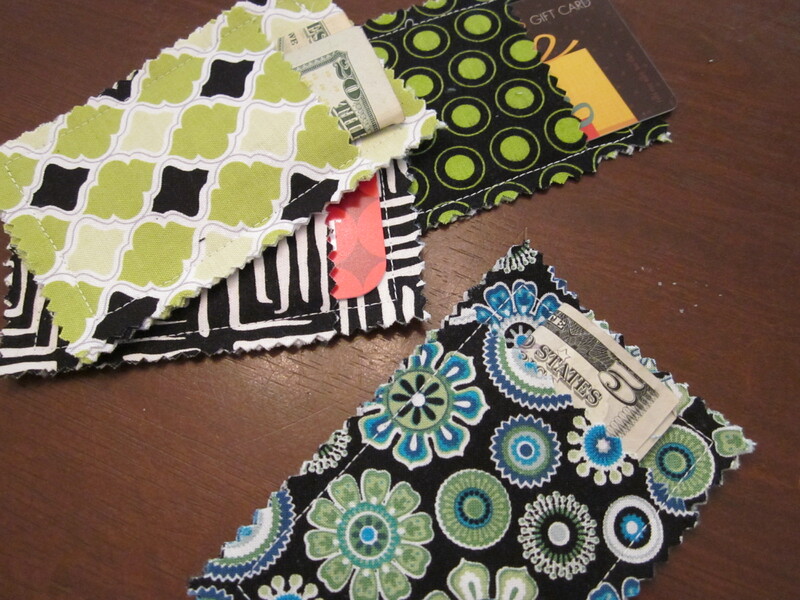 Make sure the the two layers of fabric stay even and do not shift (pin together if needed). 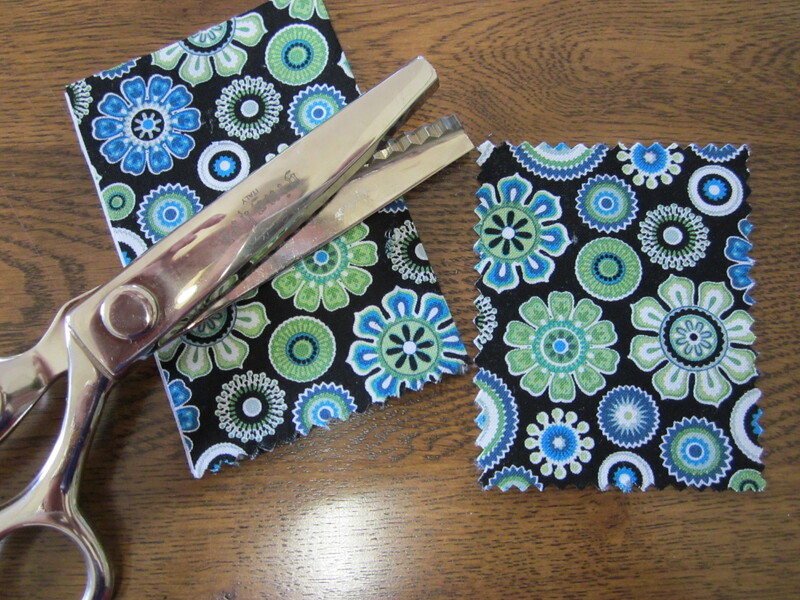 Cut around all 4 sides of the single piece of fabric with the pinking shears. 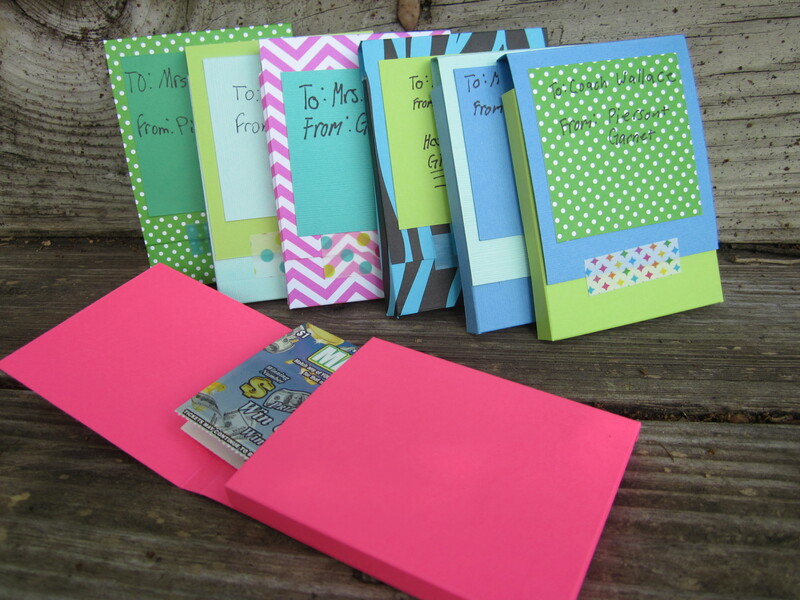 Cut 1″ from the end of a side that is 3″, so the gift card will be able to peak out of the top. 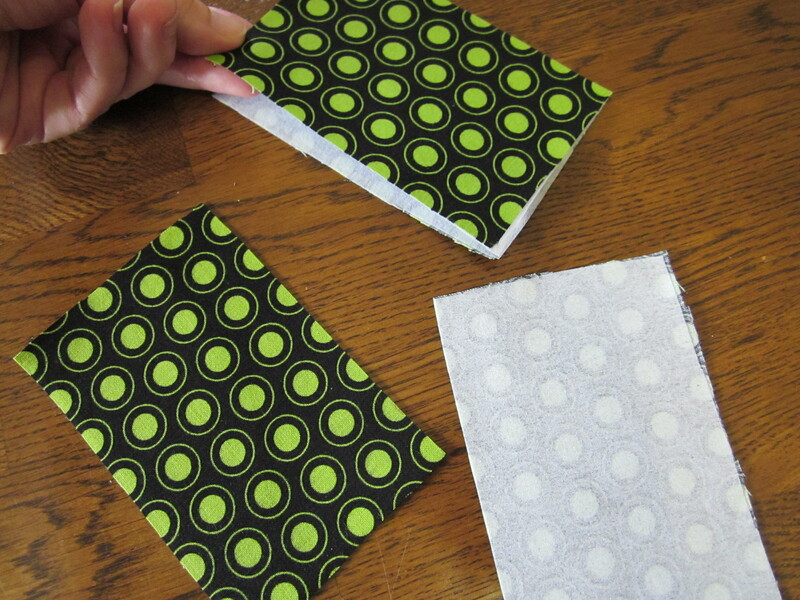 Lay the shorter single piece of fabric on top of the double piece of fabric and even up the edges. 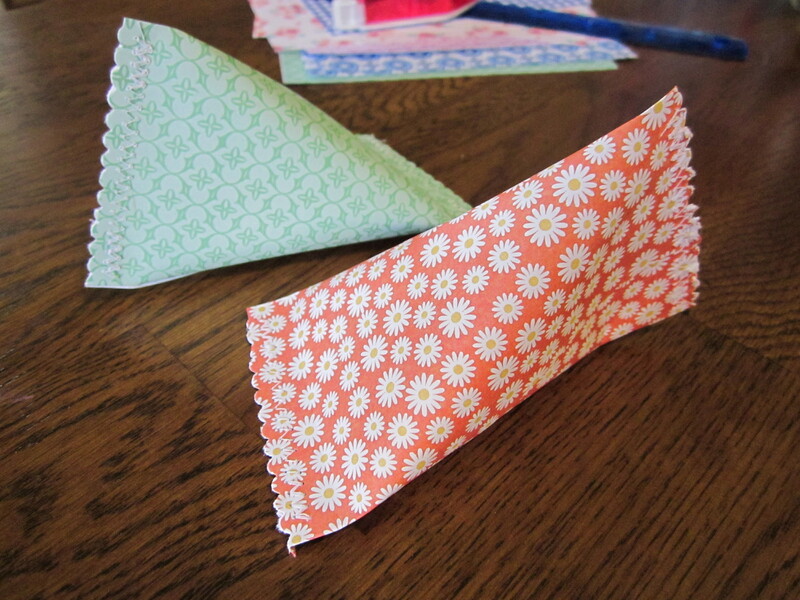 Pin into place and sew around the outside edge using a straight stitch and a 1/4″ seam allowance. 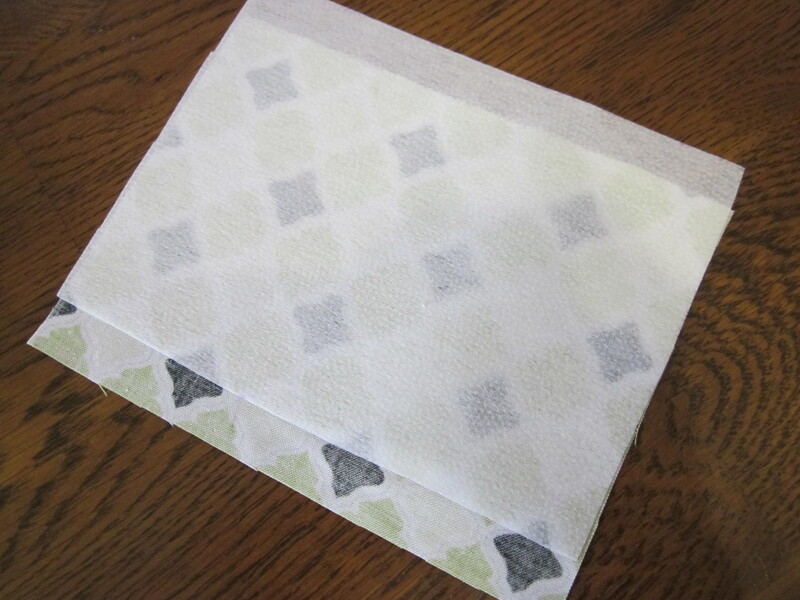 Start and end the stitch at the top of the pouch, so the fabric will stay flatter and be less likely to pucker. 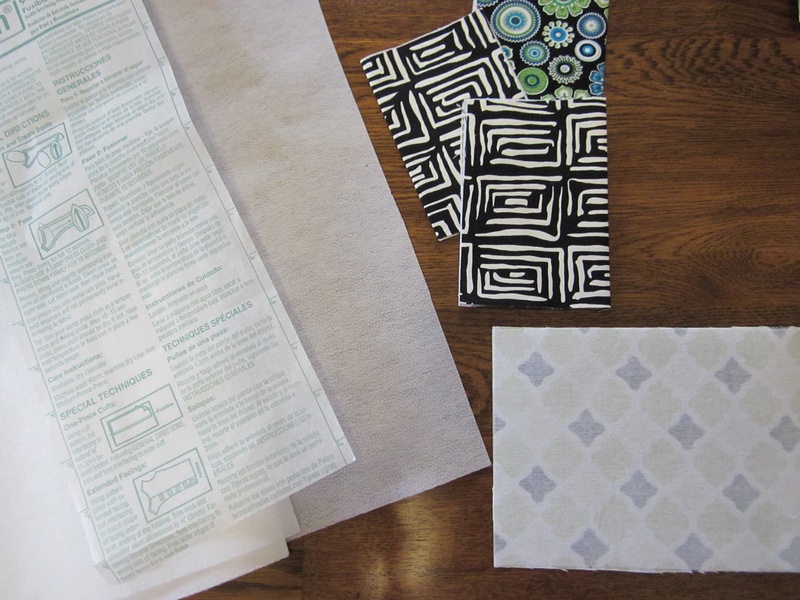 The original directions on the Going Home to Roost website used a double sided fusible webbing, which I could not find. I adjusted my construction to make the single sided webbing work. I wanted to cut the zig zag edges once the holders were sewn together, but my pinking shears could not get through all of the layers of fabric. 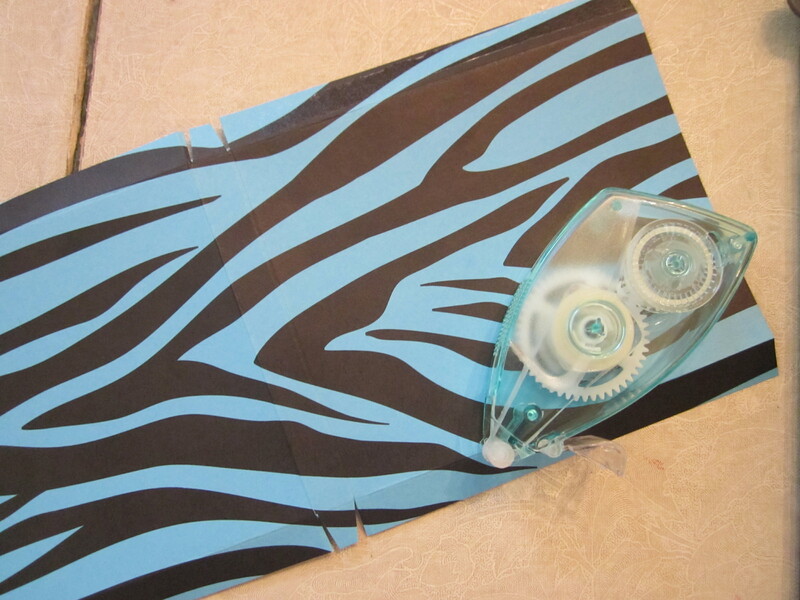 It works better to cut the two separate layers before sewing, and you still need really sharp scissors. 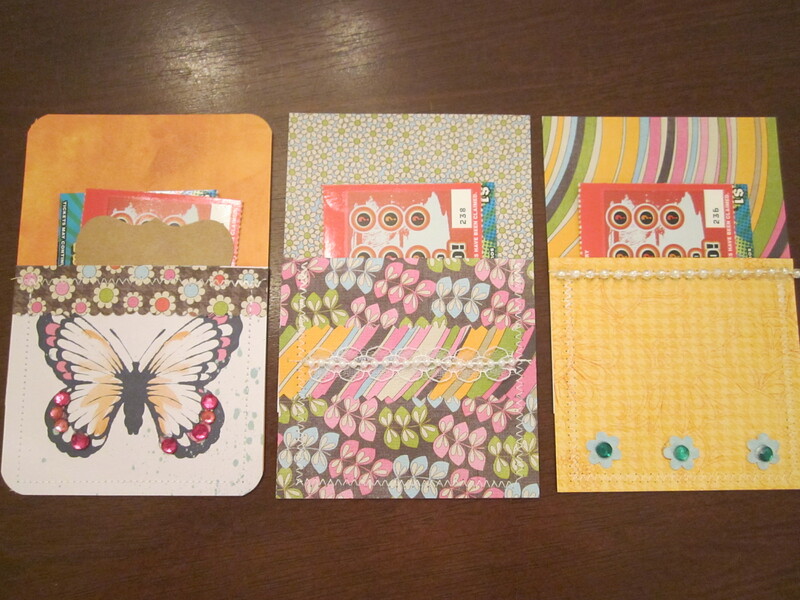 Amazingly, the zig zags line up pretty easily when it is time to sew the front and back together. 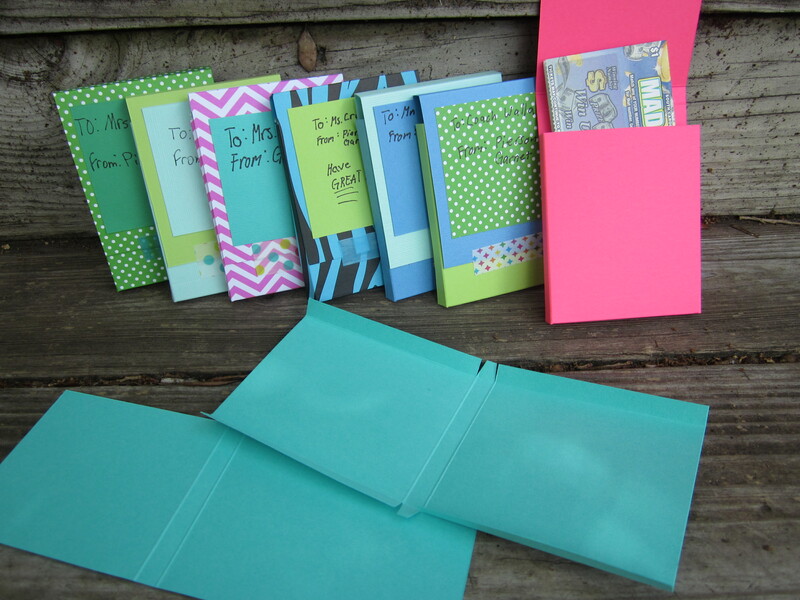 The holders are the perfect size for business cards, store loyalty cards, gift cards, and cash. 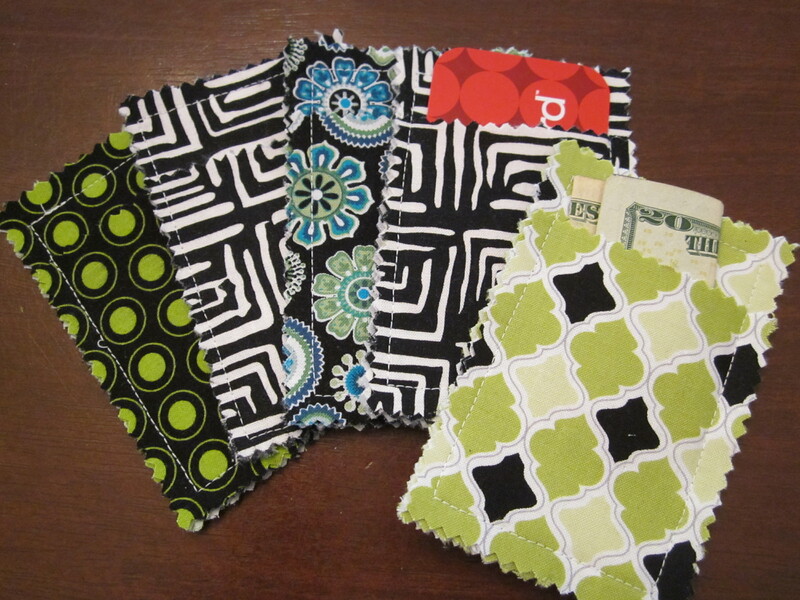 I tried a few with coordinating fabrics, but I much prefer the look of all one fabric for the front and back. 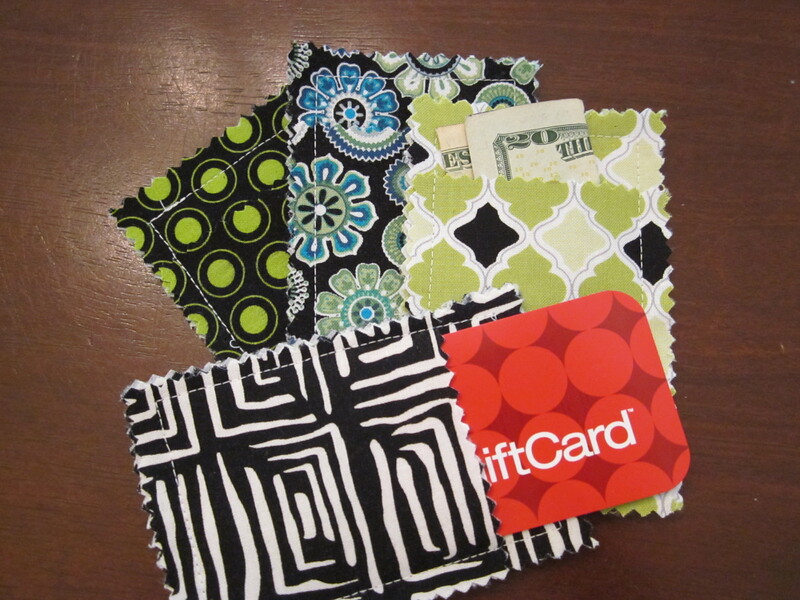 What are other good ways to deliver gift cards that are a little more personal than a paper envelope? 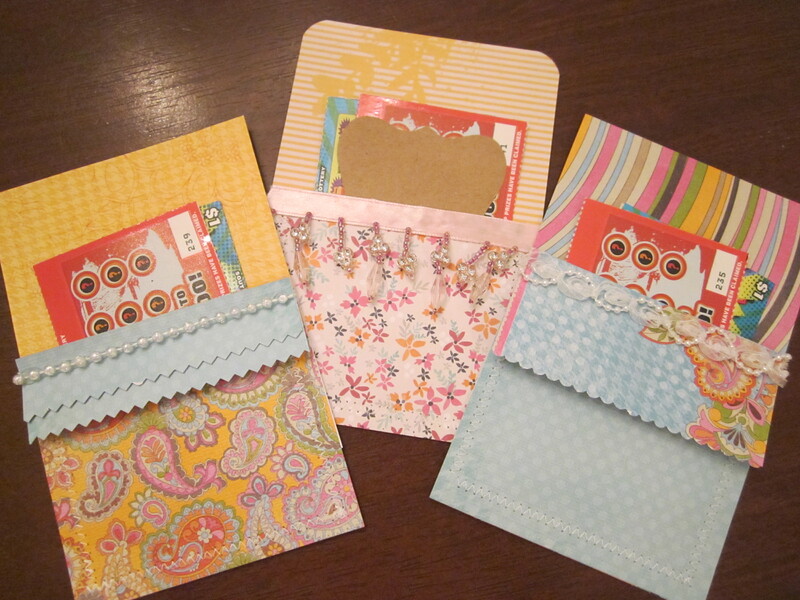 Awhile ago I found This Pin for paper pouches that could be used for party favors or little sirsees. It was an easy sewing project (only required one straight sewn edge) and even had the option to assemble without sewing. 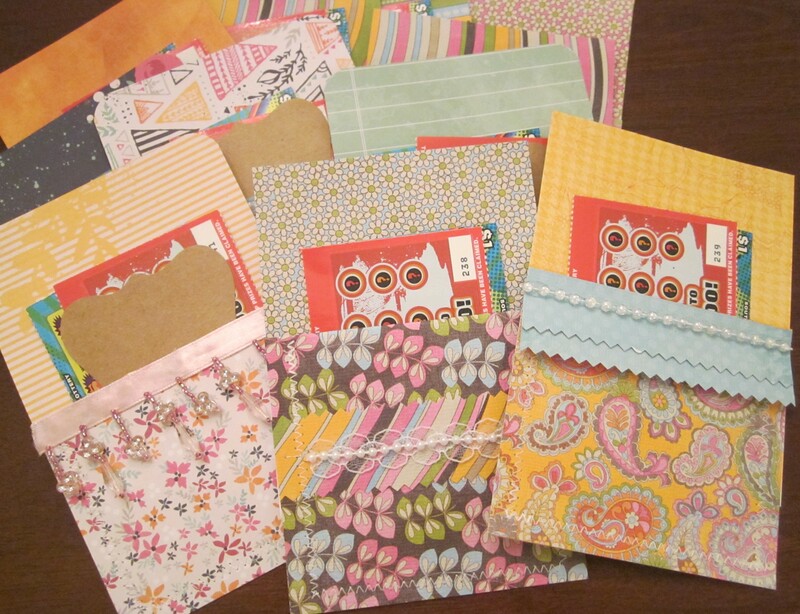 The pockets reminded me of May Day baskets, and I knew they were a crafty RoomMom idea waiting to happen, so I saved the pin for a rainy day. Today is the rainy day. It turns out the paper pockets are just right for scratch off lottery tickets, which I deemed the 2014 end of year gift idea for all of the teachers and support staff at school who work with my Mr. Star Wars and Miss Priss. I purchased a big stack of $1 scratch off lottery tickets and filled the little envelopes. 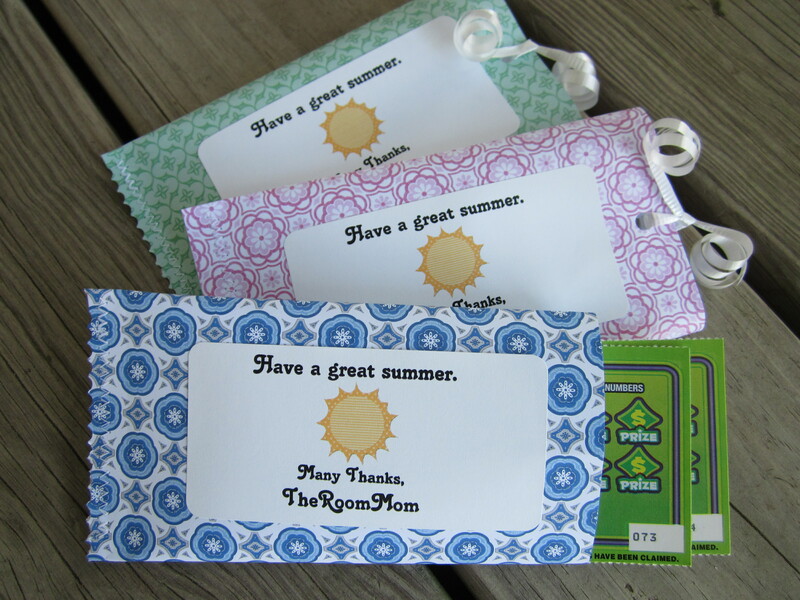 My kids added Avery 8163 Thank You Gift Labels that I printed and signed their names. We hole punched and tied the end with curly ribbon. The Original Post with the paper pouch directions had a different suggestion for sealing the end closed. 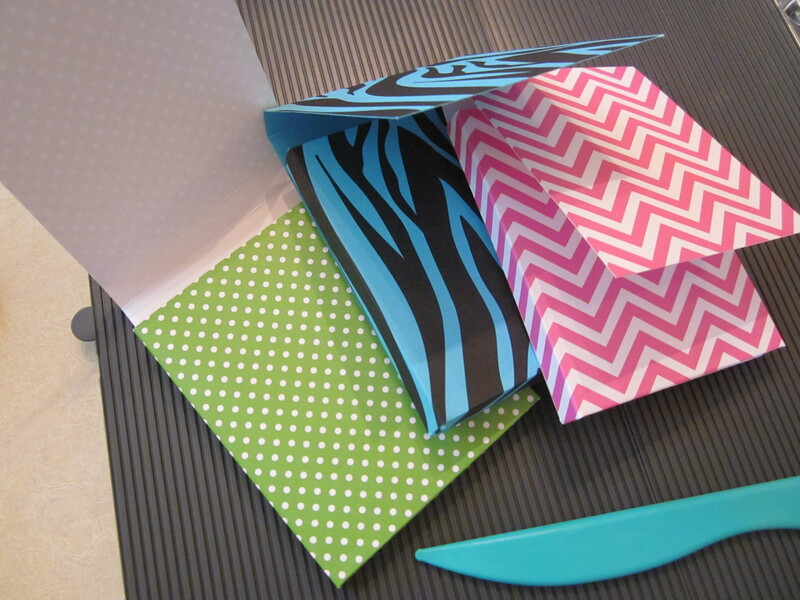 Using a paper cutter (essential), cut scrapbook paper into 6″ x 7″ pieces. 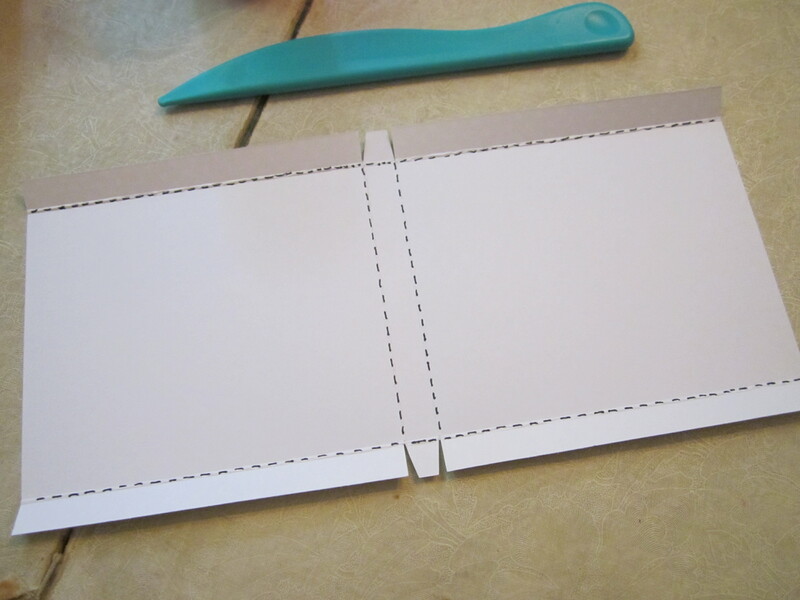 Using the double sided adhesive roller, place a sticky strip down two adjacent sides of the paper. 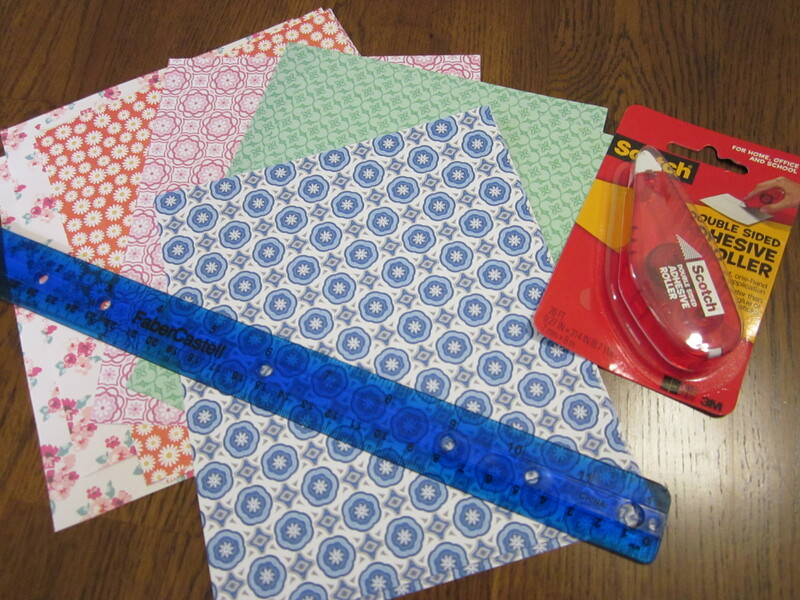 There will be tape down a 6″ side and a 7″ side, and they will meet at the corner. 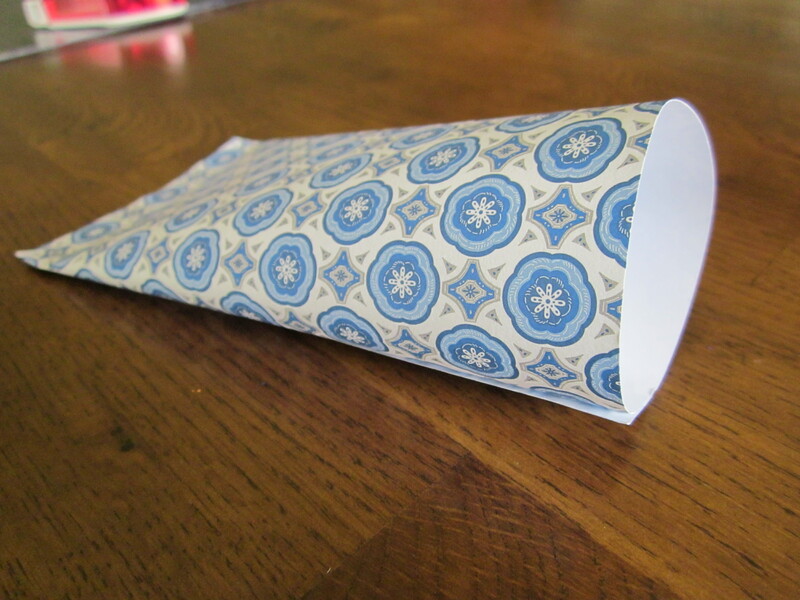 Roll the paper up to look like a toilet paper roll with the 6″ sticky side on the outside of the roll. 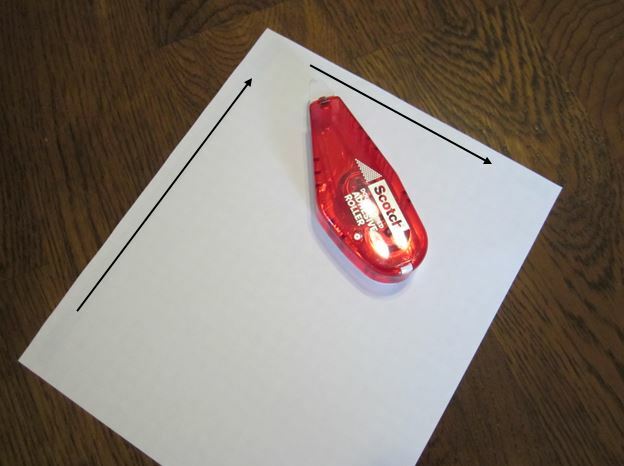 Carefully make sure the edges line up straight. 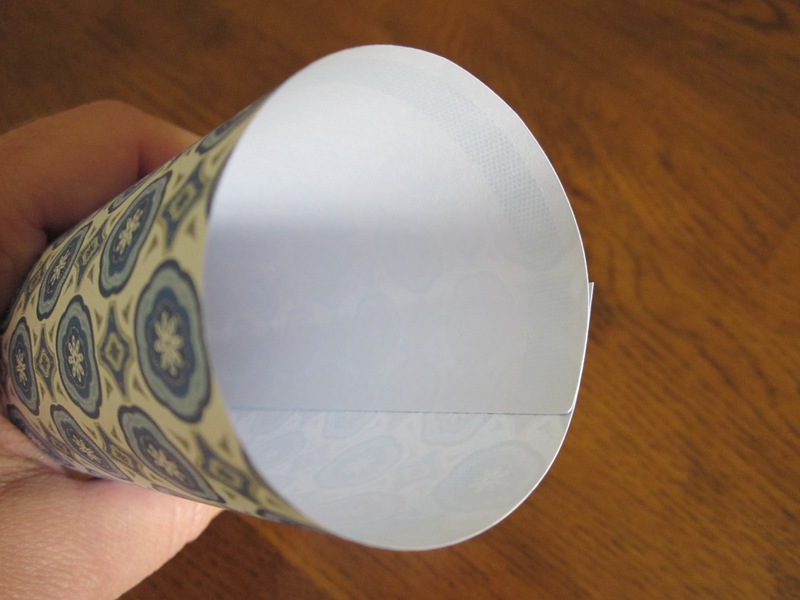 Press the 6″ side, so it sticks to the length of the side of paper beneath it forming the roll. The inside of one end of the roll will have the remaining sticky edge exposed. On a hard surface, press the edge down flat sealing the end closed. 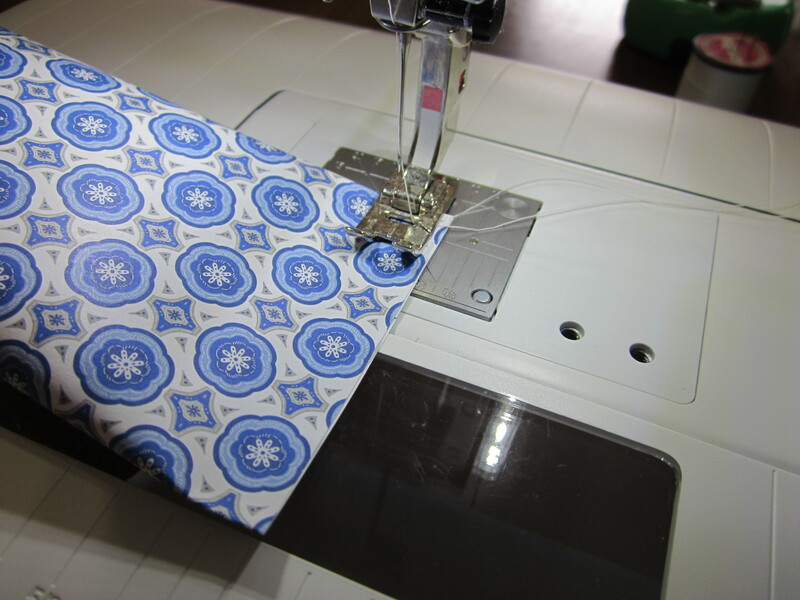 If desired, sew a zig zag stitch along the pressed end leaving a 3/8″ seam allowance. Backstitch at the beginning and end, so the thread does not unravel. The sewn edge adds detail to the pocket but is not necessary. 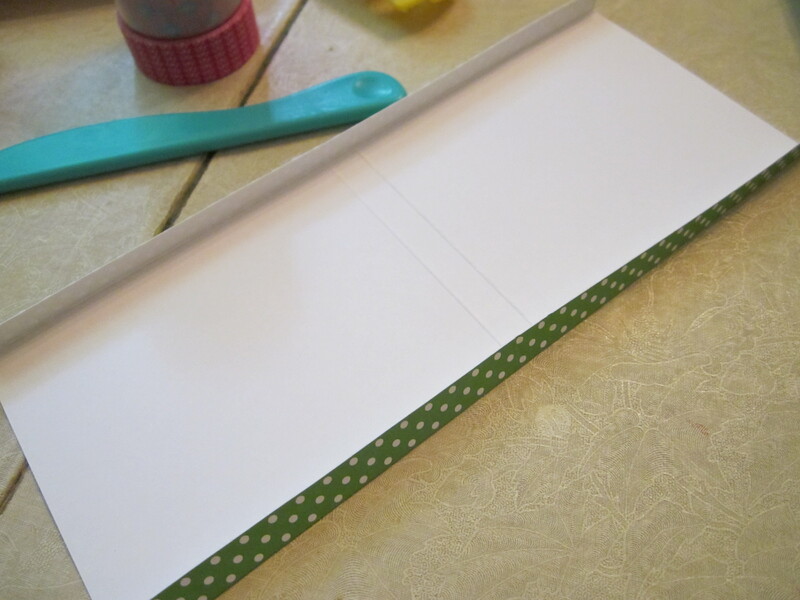 As an additional decorative edge, you can cut with craft scissors to add a scalloped border. My (crappy dull) craft scissors did not cut through two layers of paper well, and I ruined some of my ends. 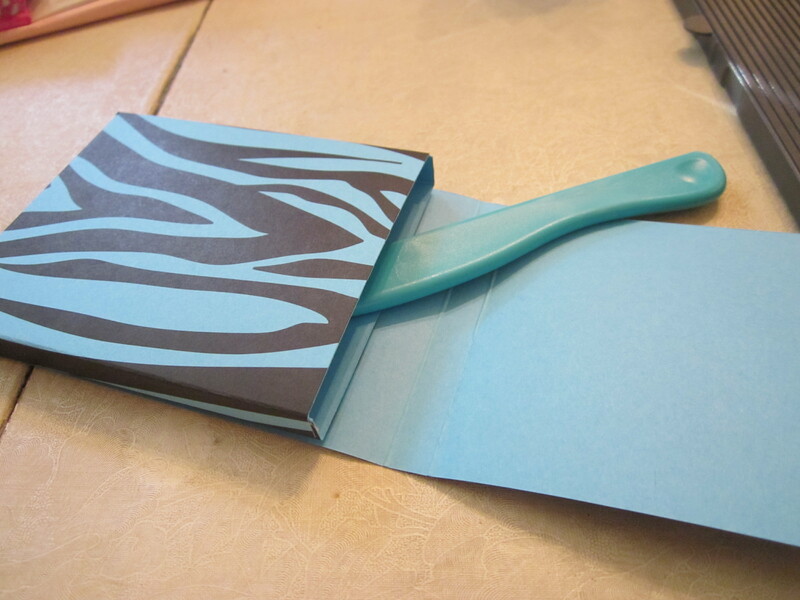 Gently press the pocket flat and attach a label to the front. Hole punch the center of the open end. 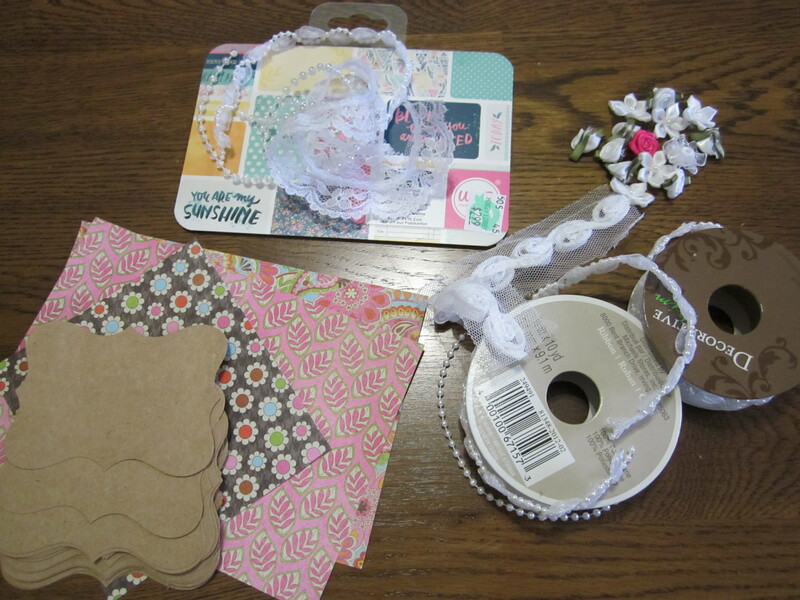 Tie curly ribbon through the hole and use scissors to curl. Do not press flat after sewing the one ending closed. Holding the pocket with the closed end flat on the table, pinch the opening closed the opposite direction (up and down) and press the corners slightly. 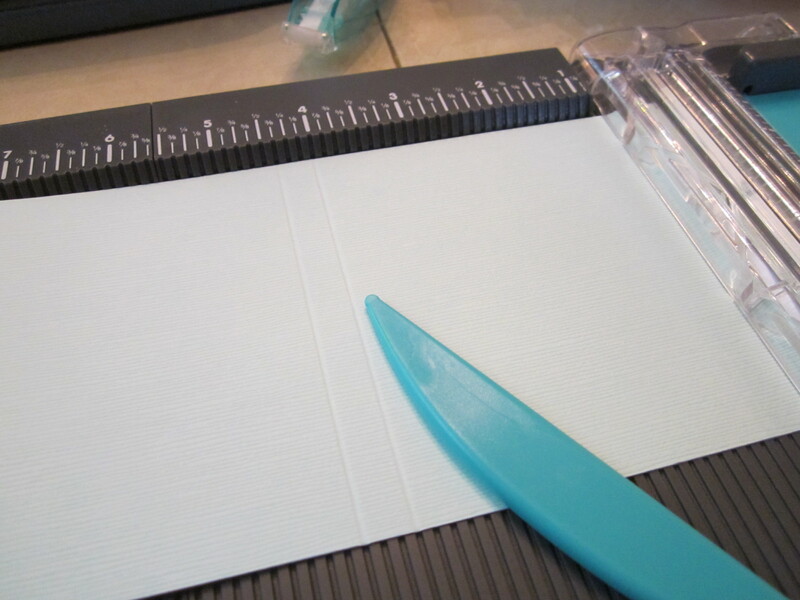 Roll a little adhesive in the center of the open top and press firmly. 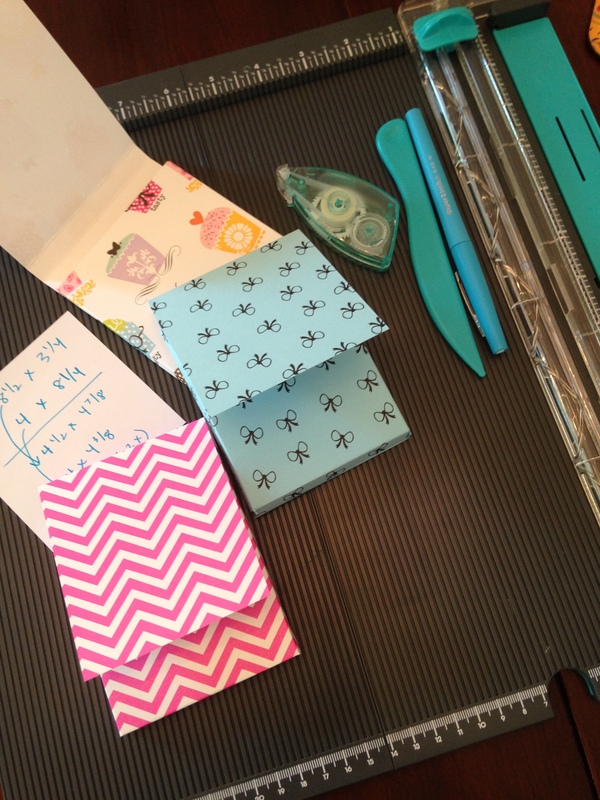 Sew (or use more adhesive) to finish closing. 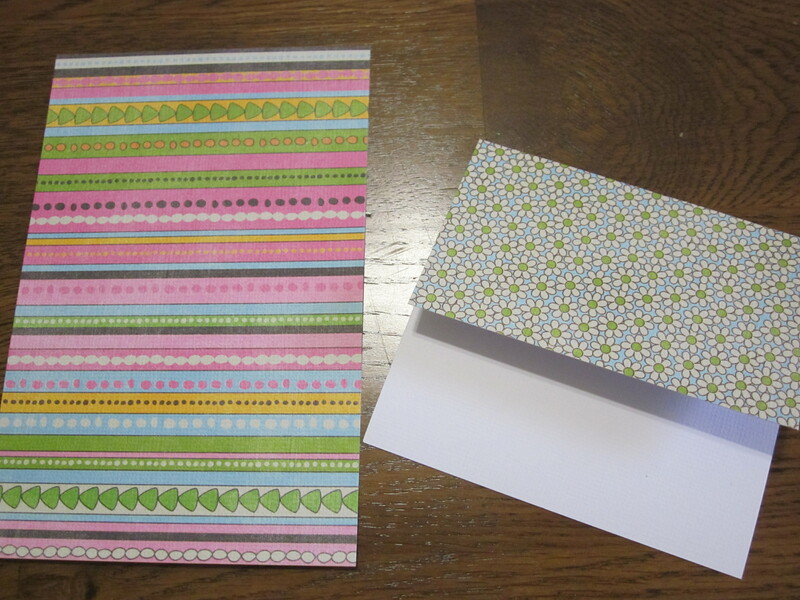 I know you are probably thinking, “Her teacher gift label should say ‘I am so lucky to have had you as a teacher this year’ since it would go so well with a lottery ticket and that is what everybody on Pinterest would do.” I just don’t do play-on-word notes.